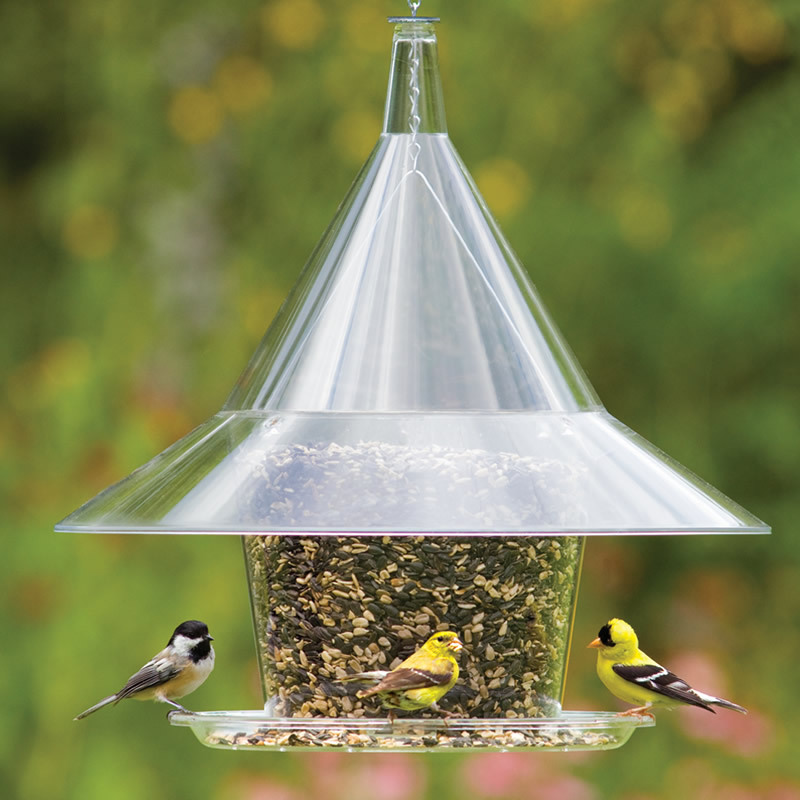 Squirrel Proof Bird Feeder features a generous 17″ squirrel proofing dome. 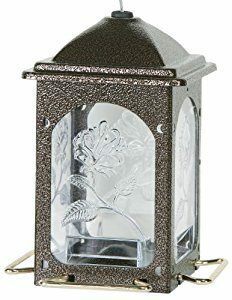 The Arundale Mandarin Sky Cafe Squirrel Proof Bird Feeder features a generous 17″ squirrel proofing dome that adds to the feeder’s attractive appearance while protecting the seed from both squirrels and weather. When hung properly, squirrels will be unable to reach your seed past this massive dome. 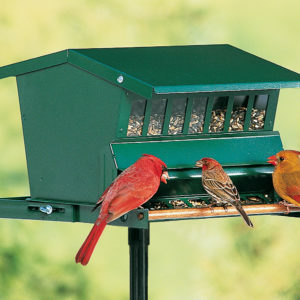 The large feeder reservoir features a six-quart capacity and an ample 11.5″ feeding tray. 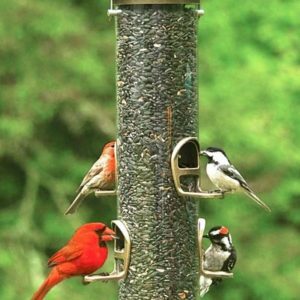 The feeding tray allows up to ten birds to feed at once and is equipped with sixteen quick-through drainage holes to keep seed from spoiling. The feeder reservoir and dome are clear for high bird visibility and clear view of seed levels. Simply lift the feeder dome for quick and easy cleaning and filling.